When is A Level Results Day and What Do I Need to Do? Now that the exams are over, you can take a well-earned rest from their studies. 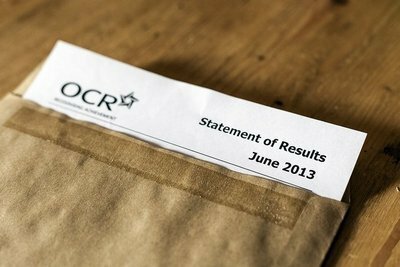 To help make the post-exam period as anxiety-free as possible, we’ve put together this post to answer a few common questions relating to results day. When is A Level Results Day 2015? Released to exam centres on the 12th August. Released to students on the 13th August. To collect your A Level results, you will need to contact your exam centre. You may be required to attend in person to collect them – if this is the case, be sure to bring a form of photo ID to confirm your identity. You will normally be issued a document that confirms your grades for each unit and your overall A Level grade. If you’ve applied to university through UCAS you’ll be able to log in to check your results from 6 AM. If you’ve applied for a university course you’ll be able to track your application through UCAS’s Track service. You can find out more on the UCAS website. You are holding at least one conditional place – this means that your university has not yet confirmed your place to UCAS. You should contact the university directly for more information. Your place has been confirmed – this means you have been accepted onto one or more of your choices. Congratulations! You will be contacted on what to do next. You are in clearing – this means you did not get any offers or your results mean you did not meet the conditions on an offer. If you have been placed in clearing, it means you do not currently have a place on a university course. Clearing is where UCAS tries to match up students to courses that currently have unfilled places. Students in clearing will see which courses currently have places and may apply for them. Clearing runs from July to September, but places will be taken up as soon as results are released. 1. Enter the clearing process and locate a course – you should think very carefully about this option. Clearing offers you the chance to go to university as planned, but it might not be for the subject(s) or universities for which you applied. It is tempting to accept a clearing place but consider if the course/university is one you really want to attend. It is unwise to enter onto a course that wasn’t one of your main choices for the sake of going to university. 2. Do not go through clearing – consider improving your grades through re-sits of units or a complete fresh start. While it can seem disheartening, going into university with a year’s more experience, maturity and with improved results can be very beneficial. Certificates are not issued on A Level results day. Certificates are issued 2-3 months afterwards and are normally posted directly to students by their exam centres. You should contact your exam centre to confirm. If after receiving your results you feel that your grades are not an accurate representation of your work, or you feel that you were disadvantaged on the day of the exam, you have the option to appeal. An appeal does not guarantee that your grade will change. An appeal must be made within 14 calendar days of receiving your results. If you’re considering an appeal you should contact your exam centre – the awarding body may choose to charge you or your centre fees to process an appeal. Found this post on what to expect from A Level results day useful? Learn what you need to do if you’ve failed your A Levels and don’t have enough UCAS points.